Who Can File An Eviction in Massachusetts? The Supreme Judicial Court issued an important decision this week for landlord-tenant law: who can file an eviction in Massachusetts? The decision, Rental Property Management Services v. Hatcher, is included below. The facts of this case are fairly straightforward. A property manager (a person hired to maintain rental property) filed an eviction (“summary process”) case against a tenant in Housing Court. This property manager brought this case in the name of “Property Management Services” (his business), which was not the owner of the subject property, nor the lessor. This property manager personally signed the eviction summons. This case presented two main questions for the Supreme Judicial Court. First, could this property management service bring this eviction case against the tenant? Second, could the property manager (who was not a lawyer) sign the eviction summons? The Court held that only an owner or lessor of rental property is entitled to bring an eviction case against a tenant. Here, while the property management company may have been responsible for maintaining the property, it was not the right party to bring this eviction. 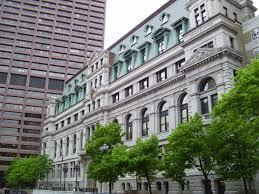 It is not uncommon in Massachusetts for property management companies to directly enter into leases with tenants. Here, if this property management company had a lease or written agreement with the tenant, I suspect the outcome may have been different. However, where this company was neither the owner nor lessor, it was not entitled to proceed with this eviction. The Court then addressed whether the property manager was permitted to sign the eviction paperwork. Because this manager was not an attorney, the Court held that he was not permitted to do so, and had engaged in the unauthorized practice of law. This case has an important lesson for Massachusetts landlords: proceed with caution when filing an eviction in Massachusetts. While I highly recommend that landlords use property management services if they need assistance in maintaining their rental units, these services cannot substitute as lawyers. The Court declined to find that doing so was an unfair and deceptive business practice against the tenant (a claim that could allow for monetary damages and attorney fees). Hatcher is clear, however, that a Court can punish a party who knowingly disobeys these eviction requirements. If you are confused about who can file an eviction in Massachusetts, take away this critical advice: hire an experienced landlord-tenant attorney for your eviction. Aside from avoiding some of the problems stated above, an experienced attorney will help you navigate this tricky area of law and reach an effective resolution to your dispute. If you are in need of such assistance, contact me for a consultation. Boston 25 News interviewed me for a news story about drones and privacy rights in Massachusetts. Watch it here. As I have written before, drones are raising many concerns over how this new technology can interfere with other’s right to privacy. 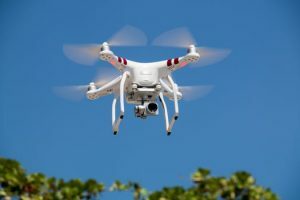 There are many unresolved questions of law about drones, and I expect much more to come about this interesting (and complex) area of law.